Congratulations to our Allerton Waste Recovery Park team for being shortlisted for the ICE Yorkshire and Humber Annual Awards 2018. The project is a joint venture between VINCI Environment and Taylor Woodrow. 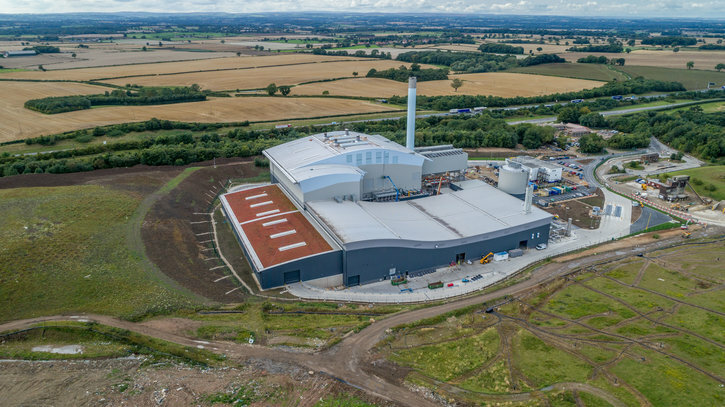 The team were contracted by Amey to support the design and build a state of the art integrated waste management facility at Allerton, North Yorkshire. Amey will operate the new facility for clients North Yorkshire County Council and City of York Council. Allerton is one of eight projects in their category (projects over £5m) which puts them in the running for the Sir John Fowler Award. The awards are held every year to showcase the outstanding work done by civil engineers in the region over the past two years. This year is an excellent year to be shortlisted, as it marks the ICE’s special 200th Anniversary year. The team will find out whether they have won the award on the 2nd March 2018 where Lord Robert Mair, ICE’s president, will be presenting the awards at the ICE’s annual black tie gala dinner in Harrogate. Good luck Allerton team!